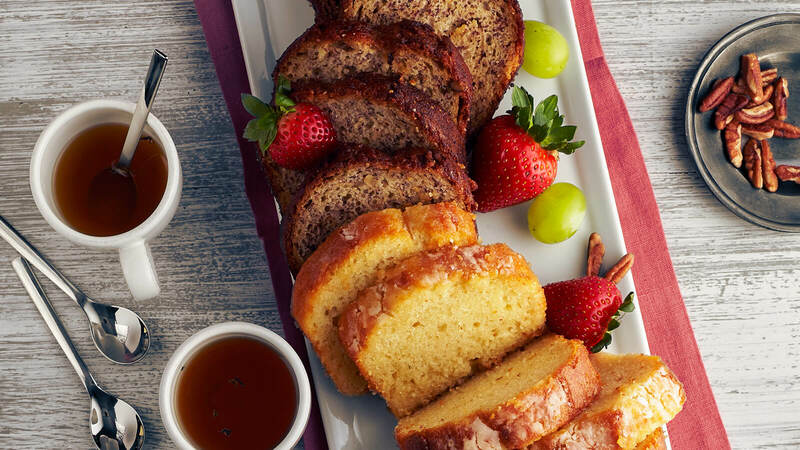 A selection of our finest freshly baked Pound Cakes and Nut Breads including our Cranberry Orange Pound Cake, French Vanilla Pound Cake, Old Fashioned Banana Nut Bread and Zucchini Nut Bread, garnished with fresh grapes and berries. Seasonal loaf cakes may be substituted. Please include a comment in Step 1 of Checkout indicating if you would like to have a seasonal loaf in your platter.